When it comes to training for sports, especially at the highest level, there is an emphasis on strength and conditioning as well as explosive, functional exercises. Which begs the question, does endurance training even have a place in elite sports? Of course, it does! As a matter of fact, endurance training occupies a considerably large spot in elite sports. Naturally, endurance training brings forth a bevy of benefits. One of the most important of these is a healthier body overall, according to the ‘Top 10 Benefits of Endurance Training’ that Life Hack published online. A healthier body is one that is capable of not only performing at apex levels, but also able to withstand the rigors of any sport. For a more sports-specific context, endurance training allows athletes to be on top of their game for sustained periods. Endurance training enables athletes to perform well from start to finish in the case of the truly elite athletes, like Terrence Crawford or Russell Westbrook. Endurance training requires athletes to perform various aerobic exercises. Men’s Journal explains that this works to help make muscles a lot more efficient. Specifically, aerobic activities like cycling and running train muscles to “wring every last bit of energy from the body’s natural fuel sources.” Athletes are thus able to develop a higher percentage of oxidative muscle fibers that are responsible for producing more energy. In other words, said muscles can make more energy, which leads to fatigue setting in much later. The overall effect is that the athlete is able to perform at a high level for far longer. That being said, sports science is now giving athletes, coaches, and trainers a more nuanced understanding of endurance training, including concepts such as maximal oxygen uptake (V̇DO2 max), lactate threshold, and training heart rate. The study ‘Is Endurance Training Bad for You?’ published in 2016 even refuted the claim made by a prior study that endurance training could lead to heart damage. Instead, it reinforced the now general consensus that having larger-than-normal hearts is actually a healthy manifestation of how the organ adjusts to regular endurance training. It’s no wonder then that stakeholders in various sports are investing in sports science, with an eye clearly on improving athletic performance. Sports psychologist Bradley Busch was interviewed by Coral, and he noted the huge investments made in sports science in the past 10 years. These have allowed players in the English Premier League to cover more ground, even as matches — some of the best and most intense in the world — drag on for over 96 minutes. Judging by those games, it is safe to say that players in the Premier League are some of the fittest athletes in the world, and endurance training is no doubt part of their regimens, as in the case of Manchester United’s soccer stars. Moreover, endurance training clears and strengthens the mind, mainly by boosting one’s mood and alleviating stress. It even changes the brain to some extent, helping it improve its ability to retain information and to think things through. These latter benefits are particularly important to elite athletes who often need to process a multitude of information at any given time. A wide receiver like Antonio Brown, for instance, needs to remember his route, assess how the defense is playing him, and adjust on the fly — all in a matter of seconds. Such split-second processing of information is only possible with a sharp, focused mind, which athletes can actually have by routinely performing endurance exercises. Without a doubt, endurance training has a place in elite sports, but given all this information, another question worth asking would be: What can we learn from all these? The price of greatness is steep. Anyone who dreams of excelling in their chosen sport will have to put in the work. Of course, that includes the nitty-gritty of endurance training, which can sometimes become a bit of a chore. After all, who likes running suicides for 30–45 minutes every day, right? But you want to be elite, don’t you? Then it’s time you incorporate endurance training into your fitness regimen. Getting either the Dude Pins-recommended Rogue Sr-1 Bearing Speed Rope or the Concept2 Ski-Erg would be a good start, as they can help get you fit in no time. Technological advances are continually helping us accomplish our goals. It’s hard to find an industry where this is truer than in the fitness world. It’s never been easier to monitor your heart rate or calories lost. You can track progress over weeks and months or discover new workouts. These individual technologies may change how we control or set up our workout routines. But they aren’t everything. The access technology as a whole, i.e., the internet & social media, is completely re-shaping how and why we work out in two major ways. Let’s take a look! Finding motivation and a sense of belonging are huge benefits of working out in groups or with a class. Technology is making these communities and classes easier to find and join. We all know the CrossFit craze that is continuing to dominate the group exercise scene. But it’s important to understand that this isn’t the only option. For most actually, it’s the wrong option, especially for people who want to get started. The decision of what classes to join or communities to engage with should be based on your personal needs, not the latest fad. Many people find themselves stuck between going to their local gym and working out on their own or joining a massive movement that isn’t right for them. Before the internet and social media, they didn’t know any other options. Technology is thankfully bridging this gap. Many local gyms are beginning to offer virtual training sessions with a trainer or virtual classes. If you are intimidated by the gym but still want to experience a sense of community, Virtual Gyms like Les Mills or virtual personal trainers like Aaptiv are a great solution. Technology is allowing us to find other people at our skill level and form communities based on our health needs rather than what’s popular at the time. We also can’t discount the impact of social media on the fitness industry. The ability to share photos, videos or text updates is becoming more and more popular. Online challenges on Facebook or Instagram help keep participants accountable and motivated. The community you belong to doesn’t necessarily have to be the those you are physically working out with, instead, it can be those you are “reporting back” to. If we feel like others are counting on us, or at least expecting us, to perform at a certain level, we are much more likely to gut through a workout and achieve our fitness goals. The other area technology is shaping the way we work out is in the abundance of dietary information that is available now. The internet and social media have given everyone access to more health information than ever thought possible. Because of this, we no longer think in absolutes when it comes to our diets. The flood of information about what works and what doesn’t has finally led most people to the conclusion that your diet needs to be specific to you and you alone. There are of course dietary rules like more calories consumed than burned will cause weight gain, but there is a much more nuanced understanding of what a proper diet should be. A proper diet is one that allows an individual to accomplish their fitness goals. It’s that simple. What works for some people regarding their goals, body type or schedule might not work for the next person. The Ketogenic diet is an excellent example of something that can work for a lot of people but, if you schedule or dietary needs don’t allow for 16-18 hours of fasting that’s ok! You’ll be able to find information on other options and individuals for whom it’s worked. If there is anything we’ve learned from all the studies, experiments and genetic testing that’s been done, it’s that your fitness goals need to be tailored to your body correctly. “Fitness” has never been more accessible and community-driven than it is today. It’s also never been as customizable. As technology continues to advance, we’ll find more and more ways to find people who share our specific needs and hopefully achieve our fitness goals together! It’s that time of the year again when people realize how much weight they gained during the holiday season. As such, most people resolve to hit the gym and get fit. But if your goal is to have a muscular physique, then you need to pay attention to what you eat. It is important to incorporate high protein foods into your daily diet. When it comes to building muscles, a great workout is just the beginning. You can’t just exercise and expect to become bigger and stronger. Diet also plays an important role in building muscles. You can workout all you want, but you will never achieve the physique of your dreams if your diet isn’t in check. Anyone who wants to build muscles should increase their protein consumption. Why? It’s because protein is important for muscle building. Protein is made up of amino acids, which your body needs for protein synthesis. Unfortunately, your body can’t make it on its own. Without them, your muscles will simply not grow. Supplementing your diet with high-protein foods is the best way to get essential amino acids that your body needs for protein synthesis. This is the reason why most men drink protein shakes after working out. Here are 7 high protein foods that will help build muscles and lose fat. Chicken is a great source of protein. It is also packed with B vitamins such as B3 and B6, which helps lower your bad cholesterol levels, support your brain health, and lowering your risk of cardiovascular diseases. Go ahead and chow down on chicken breasts. It has a higher protein-to-fat ratio than any other part of the chicken and supplies over 30% of your recommended daily requirement for protein. Plus, it is low in fat, versatile, convenient. In addition to making your muscles bigger and stronger, this white meat wonder will help you successfully navigate the stress/recovery/growth cycle. Beef has remained at the top of the list of best muscle-building foods. It is a rich source of high-quality protein, vitamin A, vitamin E, and antioxidants. It is also a major source of zinc, iron, phosphorus, and Vitamin B12. All these vitamins and micronutrients are essential for muscle building and athletic performance. Beef is one of the best high protein foods that you can find. Bodybuilders all over the world are trading chicken breast for a thick steak. It contains more than 80% protein on a dry-weight basis. Look for extra lean meat cuts like loins or rounds for maximum muscle impact with minimum calories. Like poultry, fish is loaded with high-quality protein. However, the protein found in fish isn’t as highly regarded as other types of meat. But that doesn’t mean that you shouldn’t include them in your bodybuilding nutrition plan. Fatty fish is an excellent source of Omega 3 fatty acids, which helps reduce the risk of developing high blood pressure, high cholesterol, and cardiovascular diseases. Not only is it heart-healthy, it also helps reduce inflammation. It can also shorten your recovery time between workouts. Incorporate fatty fish like sardines, tuna, trout, salmon, and herring into your diet. Not only will it enhance your protein intake and build muscles, it is also good for your health. For years, eggs have been considered more of a health risk than a healthy food. Sure, egg yolks do contain fats (5 grams), but only 1.6 grams of this is saturated fat. Don’t be scared to eat eggs. Eggs are an excellent high protein food option. In fact, it is one of the most versatile and complete foods available. Besides protein, it is also packed with essential amino acids, vitamin D, choline, and the right kind of fat. For those who are looking to build some serious muscles, you should make eggs a part of your meals. In fact, we encourage you to increase your egg intake. Almonds are the perfect snack for bodybuilders. Not only will it provide you with an optimal blend of protein, it will also provide you with the energy you need before a workout. Packed with protein, nature’s magic bullets can also help you build muscles. A quarter cup of almonds contains 8 grams of protein and is also packed with a high amount of magnesium, which helps boost energy. Although nuts are considered as a healthy snack, they are also high in fats and calories. Make sure that you limit your consumption to about one-fourth of a cup. This is especially important if you’re watching your weight. If you eat more than that, your body will be storing fat instead of building muscles. Apparently, the diet staple of a 1970s housewife is perfect for bodybuilders like you. In fact, its protein content may be comparable to that of an egg. A cup of cottage cheese contains about 28 grams of protein, 250 grams of calcium, and 163 calories. It is one of those foods that should be included on every bodybuilder’s grocery list. Unfortunately, this protein superstar is afforded secondary status. Cottage cheese is not only rich in protein, it also contains vitamin B12. There is no doubt that the cottage cheese deserves a place on a musclehead’s plate. Make sure, though, that you pick up the low variety. For those who are looking for high protein foods that are healthy and delicious, this may be the answer you are looking for. Greek yogurt isn’t just your average yogurt. In fact, it is made by straining excess liquid and carbohydrates from the product. The end result is a thicker product that packs twice as much protein than the regular yogurt. This should be a staple of any muscle-building diet. Greek yogurt is the ideal workout partner. It is packed with muscle-nourishing nutrients such as protein, vitamin D, and calcium. All of which are essential for muscle growth. For best results, always choose the plain variety. You can also throw in some fruits for added flavor. Winter brings with it chilly winds and sub-zero temperatures. With shorter days and cold weather, most people experience a lull in their motivation to stay active. Many of them are tempted to skip the gym in exchange for warm nights spent indoors. Weekend bike rides and afternoon runs are also sacrificed because of the bone-chilling weather. Since winter coincides with the holiday season, most people focus their attention on preparing for gift giving, holiday parties, and family dinners. Given all these distractions, most people let diet and exercise fall by the wayside during the winter. By the end of the holiday season, many of them have already gained a few pounds and begin to experience feelings of anxiousness or depression. Don’t let the cold weather and holiday throw your fitness off track. You have worked so hard to achieve that body, so don’t let all your efforts go down the drain. Read on for tips on how to stay fit and healthy during the winter season. According to studies, the average American gains about one to two pounds over the holidays. It’s not surprising given that most people attend festive events during this time of the year. Many of them are centered on foods. Since most of our favorite foods are served in front of us, this makes it even more difficult for us to stop eating. While there is nothing wrong in indulging in your favorite foods, you may want to take a healthier approach to what you eat during the holiday season. Choose your foods wisely. Limit the number of high-calorie foods on your plate and fill it with vegetable dishes, leafy green salads, and lean proteins. Concentrate on your meal while eating. We know you’re eager to catch up with your family, but you are more likely to lose track of how much you’ve eaten if your attention is somewhere else. Most people feel less inclined to venture outdoors during the winter months. However, staying cooped up inside the house isn’t good for your health. Later on, you may find yourself depressed and blue. Going outside can help you feel better. Adding an outdoor workout to your routine will do your body good and instantly improve your mood. Not only will you burn more calories, you’ll also be able to put an end to SAD. Before you walk out the door, make sure that you wear enough layers to keep you warm and comfortable. Dress in easy-to-remove layers to allow for changes in temperature. Never attempt to exercise without a sufficient warm up. Otherwise, it can lead to shock in joints, muscles, tendons, and ligaments. Our body takes a longer time to warm up in winter, so make sure that you invest more time in your warm up. Most people go on vacation during the holiday weekend. We bet the last thing you want to do is to put on your joggers and go out for a run while on vacation. To help you burn some calories, you may want to take the stairs at your hotel rather than taking the elevator. You can also do this at the office, subway station and other places. Don’t think of climbing stairs as a consolation workout. It may not feel like a workout, but it actually is. In fact, it can help you burn more calories, tone and sculpt your body, increase core muscle strength, and maximize your cardio efforts. Most importantly, it’s free. Just about all of us can get access to stairs. Your walkway and driveway are likely topped with a lovely coat of white snow during this time of the year. If you allow snow to build in your driveway, this can cause potential danger to your family, your, car, and your home. So go get that shovel and start clearing the driveway. Shovelling snow can be a very intense activity. In fact, 30 minutes of shoveling is the exercise equivalent of hitting the gym for about an hour. It is actually a great workout that engages all of your major muscles, including your triceps, biceps, glutes, quadriceps, back, and abdominals. Most people tend to underestimate how hard shoveling snow is. This activity is almost comparable to lifting weights. Lifting heavy snow plus the cold winter air makes it even more challenging. Do not attempt to do this on your own if you have a history of heart problems. You don’t want to be rushed to the hospital while clearing snow. Most people spend most of their time inside the house during the winter. Viruses are more likely to thrive indoors since the doors and windows stay shut 24/7. This makes you more susceptible to colds and flu. Anyone who has a suppressed immune system may contract the flu. Just because you did not develop symptoms, doesn’t mean that you’re immune to it. You’re still carrying the virus and may have passed it on to someone else already. This is why we think it’s important that everyone gets the flu vaccine this winter. If you’re looking for a fun activity that can also double as a form of workout, try ice skating. Most cities will have an ice skating rink. Ice skating is a great way to get some exercise and embrace the winter weather at the same time. In fact, skating is said to be more beneficial than running. The joints and muscles of the legs get a great workout through gliding and synchronized movement of the legs. It also targets almost every muscle group in the body. What’s great about ice skating is that it provides a great aerobic workout without even knowing it because you’re actually having fun. The best part is you can share this activity with the rest of the family. Skip the gym and hit the ice this winter. With ice skating, you can stay in shape and have fun while you’re at it. One of the most critical keys to one’s independence in life is having steady and functioning hands. It is just as accurate for younger individuals as it is for senior members, in fact, more for the later. In the US, many elderly members live alone, and thus they are required to do the daily life tasks to survive and live independently. The prehensile organ, which is the hand, helps in holding and grasping. However, it is not until you experience some hand injury or weakness that you fully realize its value and impact in your life. It is utterly common to fall prey to hand injuries. After all, the use of hands is a daily affair and a necessity in everyone’s life. Hand injuries, if not rectified by regular Hand Exercises for Rehabilitation, can lead to a lack of mobility which directly points out to the hindrances of performing the daily life functions. Age can often bring in Osteoporosis which in simple terms is called arthritis. Being diagnosed with hand osteoarthritis can even make lifting the simplest of things unimaginably challenging. Thus, keeping the hands active through basic exercises is imperative for leading a healthy and quality life. Other than this, the decrease in hand mobility in seniors can also be resultant of Parkinson’s disease. Finger extensors can be strengthened by using a simple rubber band. You need to wrap it around the fingers and after that push out the fingers against the band’s resistance. 15 repetitions of the same will help when done in 3 sets. StringyBall which is a stress ball that is attached to a string is being heavily used to perform this exercise. They are available in 3 different densities that help the user put varying amounts of pressure at a time to squeeze the ball. Just 3 to 5 seconds of pressing the ball in the palm can make your grip way stronger that will help you to open jars or hold slightly heavier items easily. You need to press your thumb to each of the fingertips for at least 5 seconds. Start off by pressing the fifth finger. It is useful in improving muscle strength in both the palm and fingers. Do you want to improve your wrist flexors? All you need to do is a few simple wrist rolls. This exercise can be done while sitting or standing by holding any lightweight while keeping the elbow bent with the palm facing up. Proceed to curl up your wrist and keep your forearm and elbow straight all the while. Doing it for a maximum of 10 times in sets of 3 will fetch you best results. Author Bio: Charlie Brown is a part-time Health Blogger. He is currently doing his masters in Physiotherapy. In his blog posts, he mostly deals with health and injuries and how people can be helped through proper implementation of necessary exercises. He stresses the importance of Hand Exercises for Rehabilitation in many of his writings. We are all exposed to toxins and environmental pollutants on a daily basis. In fact, toxins and chemicals can be found in almost everything – antiperspirants, cosmetics, plastic bottles, plastic food containers, cleaning products, perfumes, and even on our produce. Long-term exposure to these toxins and chemicals poses a hidden health threat. Although our body is capable of detoxifying itself, there is always a need to get rid of the toxins that may build-up in our body. As such, you need to learn new ways on how to detox your body at home. With information being easier to come by, people are starting to educate themselves on how to live a healthier life and learn natural detox techniques. But we’d like to emphasize that detoxing isn’t limited to the trendy juice cleanse. In fact, there are several ways on how to detox your body. In this blog post, we listed down some simple and natural ways on how to detox your body and feel good from the inside and out. 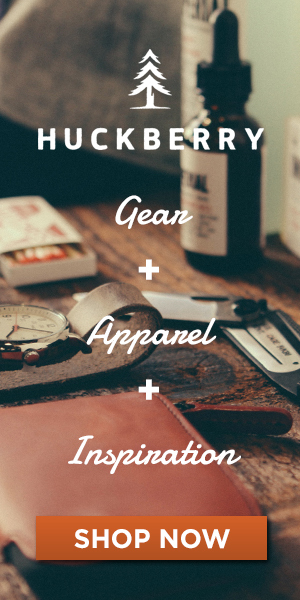 Feel free to try any of the methods listed below and see which one works best for you. If you are keen to implement a rapid detoxification program, this one is for you. The 24-hour liquid detox cleanse gives your body a chance to rest from unhealthy and hard-to-digest foods. It gives you the kick you need to get back on the healthy track. This would be very helpful for those who frequently consume processed foods, greasy foods, and other unhealthy foods. According to studies, juicing organic fruits and vegetables can help improve digestion, boost the immune system, and reboot your digestive system. In addition, it also helps increase the elimination of surface toxins and waste build-up present in the blood and lymph. In this method, you will have to completely cut out all dairy products, processed and sugary foods from your diet. To get your required nutrients, make sure you include solid and raw foods into your diet. In addition to juices, you may consume salads, soups made from vegetables, smoothies, nuts, whole food snacks and lean meat. During the cleansing period, we recommend that you avoid coffee. Avoid the afternoon slump by drinking a cup of green tea. Although this method may actually help remove toxins from the body, experts recommend sticking to a healthy diet and a healthy lifestyle. This produces better results and are often more successful than short-term detox. Instead of a radical dietary change, we recommend that you incorporate some detoxifying foods into your daily diet. While you’re at it, you may also want to limit consumption of foods that could cause toxin build-up. These foods will give your liver a helping hand in detoxifying the body and get rid of the toxins naturally. If you have already tried some cleansing juices before, you have probably noticed that many of these cleansing juices contain lemon. This is because lemon is considered as one of the best natural cleansers. It helps speed up the cleansing process by flushing built-up wastes and toxins in your body. For best results, we highly recommend that you drink lemon water first thing in the morning. Not only will it provide a little immune system boost, it will also help rehydrate the body and flush out toxins. Kale is one of the healthiest vegetables you can put on your plate. It is a super-healthy green leafy vegetable that is high in calcium, vitamin A, vitamin K, iron, and fiber. It is low in calorie, has zero fat, and is filled with powerful antioxidants. But did you know that kale is also a great detoxifier? Kale contains a powerful substance called isothiocyanates (ITCs), which have been shown to help detoxify your body at the cellular level. These ITCs acts as a powerful “one-two punch” against free radicals and toxins, and helps eliminate them from your body. You don’t have to be on a cleanse to incorporate kale into your daily menu. You can turn this super food into chips, soup, smoothies, stew, and even side dish. Glutathione is not something we can get from food. Rather, our body produces it itself. Incorporating garlic into your daily diet is an efficient way to raise your glutathione levels. To be able to fully enjoy the benefits of garlic, it should be consumed raw. We all know that drinking water is beneficial to our overall health. It promotes proper functioning of the organs, contributes to clear skin, and helps flush out your system naturally. In spite of this, a lot of people don’t drink enough water. If you are looking for an easy way on how to detox your body, it’s drinking water. This will help you cleanse your body without affecting your diet. By simply drinking 1.5 liters of water a day, you can flush out all the unwanted toxins through your urinary tract. Teamed with timing your drinks, there is no limit to your ability to detox your body. If you’re not fond of drinking water, you are free to add some fruits like raspberries, melon, cucumber or lemon to boost the taste. Detox water has become very popular over the past years. Not only does it taste delicious, it can also give you an extra dose of vitamins. Plus, it can also help flush your system of toxins and even help you lose weight. Since it tastes great, it helps you increase your daily intake of water. Exercise is a key component for staying healthy. A sedentary body doesn’t function as well as an active one. When the body is stagnant, its components tend to be stagnant as well. Regular exercise will help speed up your metabolism, prevent the development of certain diseases, and help you shed some pounds. Exercise also plays a role in the detoxification process by pushing toxins out of your body through sweat. According to studies, those who exercise regularly have fewer toxins in their system. No matter how busy you are, try to squeeze in at least 30 minutes of exercise into your daily routine. Our eyes are rightly said to be the real windows to our souls. They are indeed vital to a healthy existence. Never take your eyes and any issues associated with your eyes lightly. You must religiously follow these simple tips for ensuring that your eyes are healthy even when you are in your old age. Many of you simply ignore your eyes thinking that you have a perfect vision, but you should visit a professional eye care facility for a comprehensive dilated eye check-up. This would be the best way of ruling out any issues with your eyes. There are several common vision issues like, diabetic eye disease, age-associated macular degeneration, and glaucoma etc. that often go unnoticed as there are no warning signs. 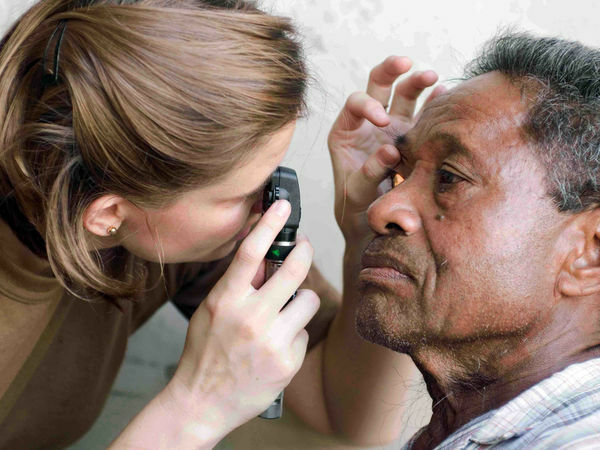 The best way of detecting these issues in their initial stages is by going through the dilated eye examination. Find out from your other family members if there is any clinical history associated with their eyes. It is quite essential for everybody to know if anybody in the family had been suffering from any serious eye disease as many such issues could be hereditary. This would be really helpful in determining if you seem to be at a higher risk of getting an eye issue. Many of you know that eating carrots would be great for your eyes. However, the fact is, you must eat a nutritious diet that comprises lots of fresh vegetables and fruits, especially, leafy greens such as kale, spinach, or even collard greens. Your eyes would stay healthy and in perfect condition if you consume fish such as tuna, salmon, and halibut that is rich in omega-3 fatty acids. Maintain ideal body weight as obesity could increase the risk of acquiring diabetes or some other serious systemic conditions like glaucoma and even diabetic eye disease that could result in vision loss. If it is increasingly getting difficult for you to attain and maintain an ideal weight, you must seek a doctor’s advice. Always keep your hands scrupulously clean. Your contact lenses must be cleaned as frequently as possible. It can help avoid infections. Keep washing your hands and wash the contact lenses thoroughly. 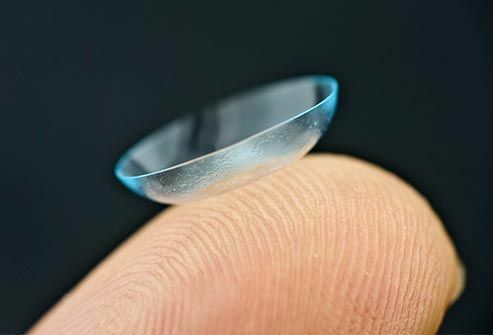 It is best to keep your contact lenses disinfected. You must work in a safe and germ-free environment. You must ensure that you are wearing protective eyewear if your job necessitates that for safety purposes. Moreover, do not ever be callous about your eye safety and protection. Wear protective gear and eyewear to provide ample protection to your eyes. Always remember your eyes are pretty precious to you and so you must take excellent care of them. Late Fall through Winter is a great time for a man to grow a beard for the first time. Beginning in November, with No Shave November, many men stop shaving and grow out their beards to support cancer patients who lose their hair due to treatment for their cancer, and to raise awareness of cancer. Traditionally, men donate the money they would normally spend on shaving supplies to cancer organizations that educate, raise awareness, and support cancer patients. Other men compete for growing the best beard, much like running a relay, with proceeds going to support cancer patients. Whether you participate or not, beard season begins in November. For some of us it doesn’t end until Spring, when the temperatures get warmer and the wind doesn’t make your face go numb the moment you step foot outside. When the Spring comes, it is time to shave off your Winter beard. If this is your first time growing a beard, welcome to the club! You are sure to have learned a lot about beard maintenance and the joy of growing and styling a beard. If you are looking at this post, chances are that you are ready to cut your beard off and enjoy the sun. If you have grown a beard, you already know How to Shave. That doesn’t mean you know how to shave off a full beard. This is where it gets interesting for seasonal beard growers. There are several things to consider before you begin shaving. If your whiskers have ever grown too long, you know that your razor will pull the hair, which is unpleasant and painful at time. If it is your first time shaving off a full beard, you are in luck, my friend. This is your guide on how to do it right, with as little irritation as possible, for a smooth finish. Why Prep For Your Shave? The most important part of shaving your beard is the prep work you put into it. If you don’t prep your beard and the skin beneath it, you will have some serious irritation. Your skin is going to be sensitive if you haven’t shaved in a while, so extra precautions will go a long way to preventing additional, unnecessary irritation. First, gather your arsenal. Most of what you will need should already be in your shaving kit. You will need a trimmer or pair of scissors to trim your beard back, some shaving cream, and a shaving brush if you want to really experience the art of shaving. A fresh razor with multiple blades and a trimmer, such as The Great Dane from 99centrazor.com, will also be necessary. It seems like a waste of time and effort to trim a beard you are going to cut off, but it’s necessary, unless you like your whiskers pulled out and clogging up your razor. If you have a trimmer, trim your beard back as close as you can using the shortest trim guide. If you don’t have a razor, scissors will work, though they can’t cut as close. Soak your brush, if you’re using one, in warm water for several minutes. Use warm water to saturate your beard. Apply the amount of cream you think you will need to the brush and whip your cream into a lather using a shaving mug. Use the brush to apply the lathered cream to your face, liberally. The cream will lubricate the razor, preventing tugging on your hair and your skin and will moisturize your skin. It will take you longer than normal to shave off your beard. You’re dealing with a lot more hair than normal stubble from daily shaving. Just hold your skin taut with your free hand and take your time. Reapply lather in areas that you need to shave over more than once to prevent irritation. Once you rinse off, check to make sure you’re smooth. If you’re still not as smooth as you would like or missed a spot or two, lather up and shave again. You may need to shave against the grain to get a closer shave. If your razor has a trimmer on the end of it, use it to trim up your sideburns and rinse your face with warm water and pat dry. Once your shave is complete, use an aftershave lotion or balm to moisturize and protect your skin from irritation resulting from the shave. If you choose to not shave off all of your facial hair and go with a goatee or mustache, apply beard conditioner to it in order to keep it soft and the skin beneath in good condition. Welcome back to feeling the wind and sun on your skin! You have just accomplished the task of shaving off a beard, and if you followed the suggestions in this post, your skin should be soft and not irritated. You will miss your beard, but it won’t be long until November when you can start the process over again.